I was thinking about what to pack for touring up to Seattle this summer, and perhaps what to pack for S240s (Sub 24 Hour Overnight) when along came this post from from the VeloORANGE blog. I will post back what I am going to take when I get myself organized. Tip: it’s usually lighter to take an extra battery rather than a battery charger. I try to take some reasonably nice looking clothes. Looking grubby gives all cyclo-tourists a bad image. There is no need for fancy duds, but I do take a short sleeve shirt with a collar as my evening wear and try to keep it and my pants clean. All these clothes can be washed in a hotel sink with regular bar soap in just a few minutes. And they will dry overnight if hung someplace where there’s a bit of air circulation. Of course your packing list won’t be exactly the same as mine, but the point I’m trying to make is that you don’t need to take much. 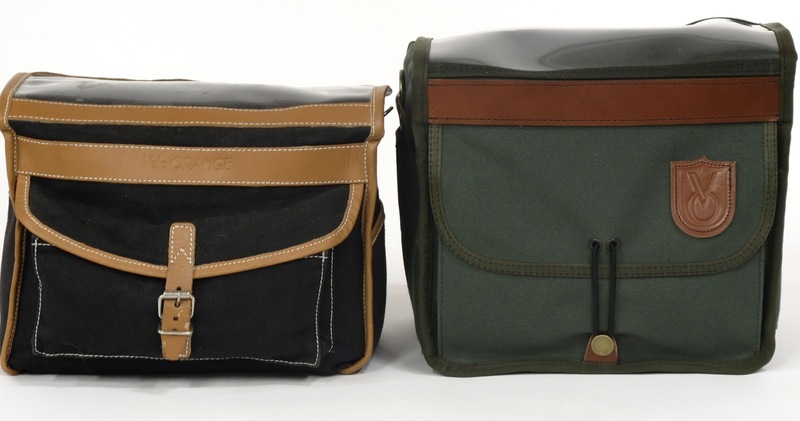 BTW, below is a size comparison of the Campagne and Grand Cru bags. The GC bag is also deeper.